Here is yet another cute Thank you picture to send to your dear ones. 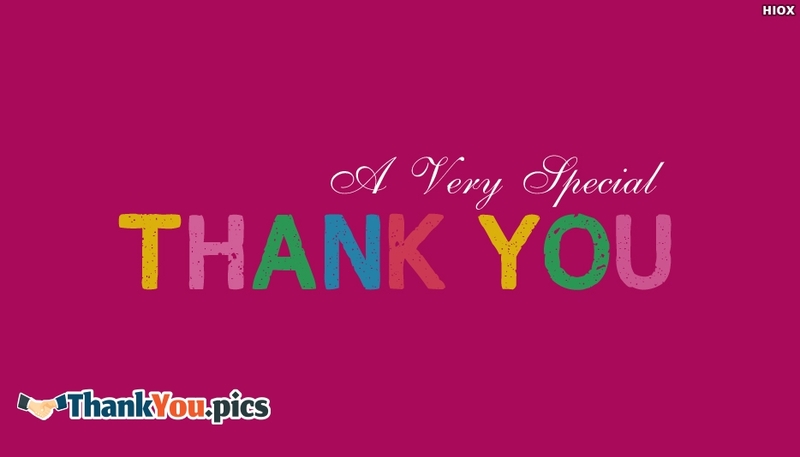 This Thank you picture is a colourful one on a colourful background. Send this "A Very Special Thank You" picture to your very special person and have a great time. Thanking is a good habbit. Thanking a special person for his/her special help creates special memories.